Home » Training » Is A Bad Workout Better Than No Workout? For most fitness enthusiasts, nothing damages motivation more than having a bad training session. This could come as a result of going into a session with high expectations, only to fall short in a certain area, like lifting for instance. Or it could be the inability to better a set personal record. You may be left wondering whether the effort is even worth it. So, is a bad workout better than no workout? In reality, dealing with bad workouts is part and parcel of fitness. If you learn to handle them properly, it could put you back on track towards achieving your goals. 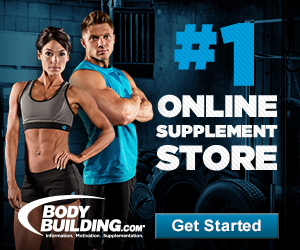 Otherwise, one could get demoralized and end up losing interest in bodybuilding altogether. First, you need to critically analyze your expectations. Was the session really that bad? 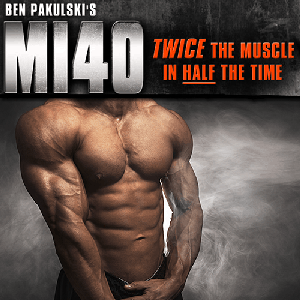 Practically, it wouldn’t be possible for anyone to hit their optimal peak in each session. This can be attributed to various factors, among them being lifestyle, recovery and sleep. As such, you can’t expect to hit and break your own personal records (PRs) every few days. For most people, this happens to be the case when starting out, and they ideally expect future workouts to be similar. Once the honeymoon is done, continuously breaking PRs would be practically impossible. Though every session won’t be perfect, it doesn’t necessarily mean that average workouts are bad. What Defines a Good Workout Session? If you keep thinking that your average sessions are bad, it could lead you to skip workouts whenever you feel a little down or don’t expect it to be great. 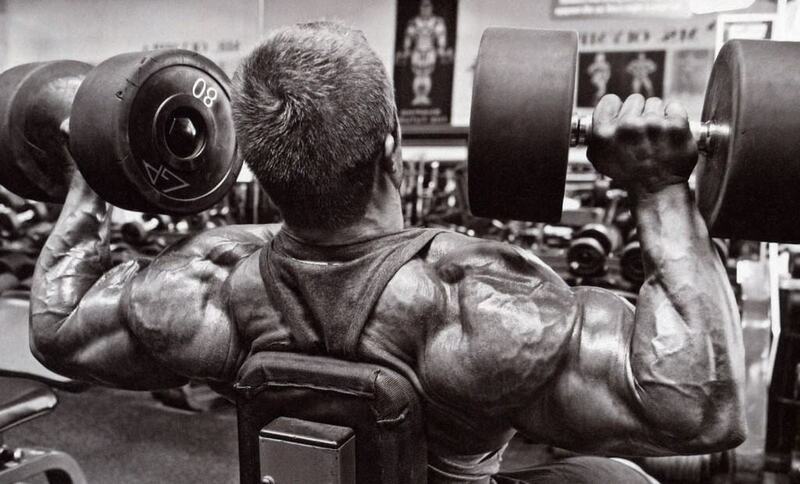 To succeed in bodybuilding, you need to be consistent and persistent, which translates to working out every day. Shifting your perspective to valuing progress over beating your own records could be of great help. If the latter happens in the form of a weight gain, it can be translated to mean an increase in intensity. However, you don’t have to go into robot mode either. Going for some time without moving to higher reps or weights could stall progress. But still, increasing the intensity forms a minute part of the bigger picture; there are other ways of ensuring progress in your training. I always recommend following the mantra of mechanics, consistency and intensity. When starting out a new movement, fundamental mechanics form the foundation on which everything else will depend on. Improving this from session to session is what really matters at this stage. Don’t worry too much about increasing the intensity; observing progress in mechanics is relatively easier. The next step involves consistently applying these mechanics in order to dial them in. Here, you should focus more on applying the basics you learnt as this also helps increase intensity. Also vital is the frequency of mechanical progress. Being able to consistently do this helps you become more proficient. Improving intensity by adding weight is perhaps the most evident form of progress when one adopts a fitness routine. This will usually follow improvements in mechanics and consistency; if it happens in reverse order, then the foundation wasn’t properly laid. You should also keep in mind that a weight gain is not the only way of increasing intensity. But if the three vital aspects of progress are noted, then advancing in any of them is what really matters as far as fitness goes. Having gained an insight into what a progress looks like, you should take a step back and relax next time you think you’re having a bad workout session. Here, see if you’ve actually realized any progress in any of the three aspects. If it’s the case, then you’re on the right track. But you could also be in a scenario where none of these is true, and you’re really having a bad workout session. This could be anything, such as missing lifts that you’d normally make with great consistency. If this happens too many times during a single session, look whether it rolls over into other workouts as well. At times, repeating the same mistake too many times could lead to this. 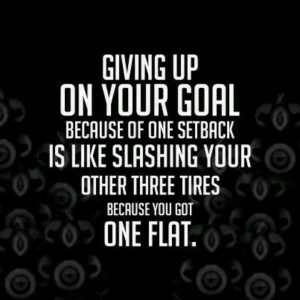 To get past such a hurdle, you could seek the help of a coach or fitness expert to see where you’re going wrong. Once the cause has been isolated, come up with a way of rectifying it. This doesn’t need resolving in a single session or day for that matter. You could take some time to research on improvement techniques so that if it happens again in future, you’d be in a better position to deal with it. This is what it takes to turn a bad training session into a great one. Why? Because you’ve not only discovered what’s been going wrong, but also learnt how to identify and correct it along with any future mistakes. It also toughens you up to face more challenging sessions as you move on. In extreme cases, one could find themselves unable to make amends within the workout or point out their errors, even with additional help. If this happens to you, take some time to review factors like rest, diet, stress levels and any other relevant lifestyle aspects. In most cases, a simple review of such things will help in identifying what impacts training negatively. Still at a loss? Well, try maintaining a log that accounts for such things so that you can review it in future. The turning point for most people is when they understand that progress only forms part of the reality. The latter entails learning to get the most out of any workout, whether good or bad. With this notion, you’ll soon find out that what you’d previously call a bad workout session is in reality more helpful. 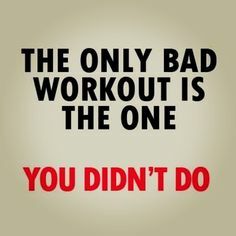 Also, don’t take this to mean that you should continually work out in an average manner or fail to hit past your PRs. It’s only another perspective to help you view training better. You’ll find it to be of great help in pursuing progress whenever things get tough.